“Given the opportunity to experience The Red Road Native Traditionalism, spirituality and the personal journey of enlightenment in general, are more than well supplied in this read. From its very beginnings, it is evident that author Greg Stout, has led an exceptionally unique life of deep and meaningful search. With an earnestly felt yearning after the meaning in 'The Art of Living' and walking his path, earning faith in his Creator. I found myself reading, then slowing to study and taking many pauses, to meditate and reflect on the evolving integrity of this man’s giving of his lessons, learned through practice. I say without hesitation, that I highly recommend 'Windhorse Peace Pipe' as a must read, for those souls that wish to experience a journey into The Greater Mystery. With a guide, whose greatest concern is Peace & Enlightenment, Greg Stout, is a man of such a source with a given wisdom that leads to understanding. 'Windhorse Peace Pipe', is a book that I will read many times over in study. "Hey Greg, just finished Windhorse Peace Pipe. Great read my friend. Enlightening. Continue successes..."
“I just finished the last 20 pages today @ our local Art Museum where my 7 year old daughter is taking a class. It took me the whole 2 hours to finish because of the moments I had to take to truly catch my breath...if truth can touch someone, than the tears that touched my cheek were truth. This book resonated with so much what I have always felt in my heart. Thanks to you ♥ Greg Stout. “Indigenous people believed that divine concepts came from the soul. Compassion is conceived as one of the main elements of the soul. It doesn't require a package and yet continues to outgrow the value of its wrapper. The gifts of compassion rise above the need for self-gratification. Pure awareness does not rely on icons nor documents of religious faith. Pure awareness is connected with or without the rules of others. People today are limited to perceiving God in a way that is compressed into icons and increments of human comparison. When making these comparisons, their only support is controversial stories CONSIDERED historical fact."..... "Continual disagreement on such knowledge only supports a path of destruction and keeps the Sacred Hoop divided." ~from the book Windhorse Peace Pipe by Greg Stout …(which I HIGHLY recommend!)" This year I picked a book and oh, have I read many... As well as writing myself for years. This book is 'Windhorse Peace Pipe' by Greg Stout. While many write their story, this quickly became obvious in that it was my story too... perhaps a part of us all. As I read, this was not Greg talking about Greg...It was a humble pure and well-traveled account of the journey we all wanted to start on, remain on, and arrive home on. I have intense and heartfelt respect for the few that actually made it, kept it real, and still traveling... And unlike many, Greg does it with a smile on his face, for he has succeeded. He does not claim to know the Truths... He does not have to, for it speaks volumes for itself in sharing unselfishly his own journey. It is well written in that all seekers of truth may find themselves at home here. 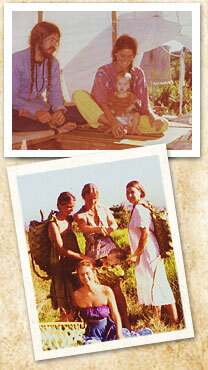 It is integrating a well-lived spiritual journey with family life, hard work, and everyday concerns. It is with respect to the past and knowledge that we move forward. I saw it was not too late, there is time... I remembered my own path. Thank you Greg, from my heart, for this gift. A simple book and a powerfully beautiful story. My dear friend, you won in this lifetime. You reminded me that I may have been true to myself, in every breath that I questioned, argued, searched, fell, got up again. There you stand before us, within your busy life, offering writings. You are reaching people through simply being yourself. May we have the wisdom to see you. Thank you for showing me that I always had it in me, I just needed to remember. As I look back, you gave me a soft place to fall, a gentle hand to get back up, all the while acting as if it were nothing, just life. I raise a toast to your book, "Windhorse Peace Pipe"! I smiled all of the way through! I encourage you to read this book. Greg has spoken. And... He listened. Author Greg Stout was blessed with the presence of an Elder (his grandmother) in an extremely important stage in his life and it was through her wisdom he -after a long journey in the outside world - found the way back to his roots, which were rooted into the pathless path on the inside. He takes the reader with him, not just as a fellow traveler in the outside world, but sits them down to take a view inside his mind, where his fluid way of writing paints a picture that is accessible and easy to understand for all readers. 'You don't have to be a 'natural' to acquire great talent. Nor do you have to be a genius to have access to greater knowledge and personal power"- Greg Stout. By reading the book, one could save oneself the quest for a 'Holy Grail, which is not to be found, because the 'Grail' is not matter, but a path, called Life. The road, the path we walk, is the answer. The road itself, and not some Holy Grail which people are looking for, because the road does not lead to a treasure chest, the road itself is the treasure, from which all gifts derive. Just like the Tao ... - As we now know (and what 'the old people' in the old times knew instinctively) children are receptacles before the age of six. All 'roads' inside our brain are being created and paved before the age of six. They become the highway in our journey called Life. I have enjoyed reading the many pages and I love, love, love your book and all your pictures too. Your writings are so full of love and knowledge and I think you and your book can be a key guide for so many people! My deep respect and I am blessed to be your friend and I am proud to be one of Windhorse Circle for Rainbow Warriors.